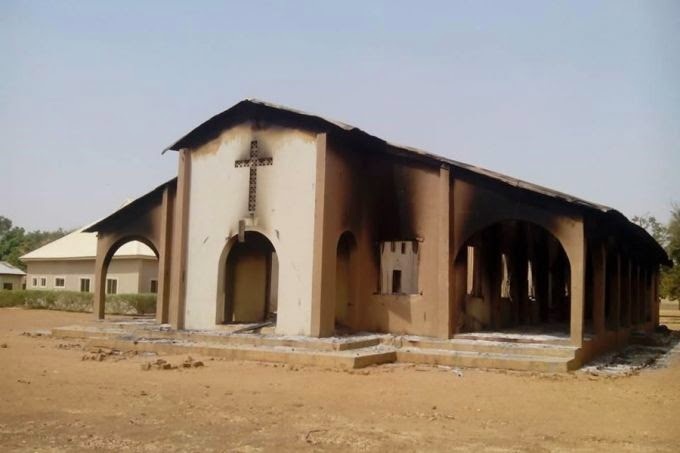 Jos, Nigeria, Boko Haram having killed as many as 2,000 in an attack on the town of Baga last week, Archbishop Ignatius Kaigama of Jos hopes that Nigeria will see demonstrations of solidarity and unity in the face of such violence. He also told the BBC the same day that the international community must show Nigeria the same spirit and resolve as it had following the attacks in France, charging that the West has ignored Boko Haram’s threat to Nigeria. The radical Islamist group Boko Haram launched an attack on Baga, an isolated town on the shore of Lake Chad in Borno, Nigeria’s northeasternmost state, on Jan. 3. The following day, multinational troops abandoned a military base there, and thousands of residents fled for Chad. Boko Haram launched a second assault on Baga Jan. 7, burning down nearly the entire town and raiding nearby villages. Musa Alhaji Bukar, a senior government official in Borno, suggested that some 2,000 were killed in the attacks, while other reports estimated deaths in the hundreds. “Baga … was the last town in the Borno North area under government control,” according to the BBC. Boko Haram control an estimated 70 percent of Borno state. In Maiduguri, the capital of Borno, three female suicide bombers killed around 20 on Jan. 10. One of the bombers was reputed to be 10 years old. The following day, two female suicide bombers killed four and injured 40 in Potiskum. Over the weekend, Boko Haram attacks on a Cameroonian military base and on Damaturu, capital of Nigeria’s Yobe state, were repelled. Baga had been attacked by Boko Haram in August, 2014, at which time 26 were killed, and 50 kidnapped. It was also the scene of an April, 2013 massacre in which some 200 villagers were killed and 2,000 homes and businesses destroyed. Villagers claimed that the massacre was carried out by the Nigerian military, while the Nigerian military in turn blamed Boko Haram. Baga’s multinational military base formerly hosted troops from Niger and Chad, as well as Nigeria. Niger withdrew its force in October, after a nearby town was captured by Boko Haram. Boko Haram, which means “Western education is sinful,” launched an uprising in 2009 and hopes to impose sharia law on Nigeria. It has targeted security forces, politicians, Christian minorities, and moderate Muslims in Nigeria’s predominantly Muslim north. Boko Haram’s attacks have killed thousands since 2009, and displaced more than 1.5 million from their homes. The U.S. recognized Boko Haram as a foreign terrorist organization in November 2013, after a lengthy advocacy effort from human rights and Christian groups.